Create new business style for MRO procurement and keep developing as a strong power to support manufacturing. MonotaRO sells more than 3,000,000 products, 30% of which are private brand and directly imported goods. Our customers enjoy price advantage and high-quality products. By taking advantage of the Internet, we meet customers' needs with our wide selection on long tail products, which other vendors don't manage well. Quick Customer Satisfaction through Efficient processes. 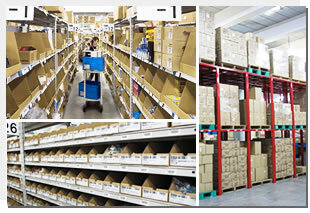 MonotaRO operates two large distribution centers with a total area of 391,000 square feet. We have developed proprietary software optimized for moving large amounts of information and products through a highly dynamic operation. Same-day shipping of popular products is possible because we have those products on-hand. We operate our own customer support center and regularly gather feedback so we can continuously improve our operation. MonotaRO’s customers’ repeat ordering rate is approximately 80%. We continuously analyze the purchasing behaviors of all of our customers and provide personalized information and product recommendations to each of them, which results in this high degree of customer repeat rate. Today, MonotaRO has more than 1,000,000 customers - this number continues to increase daily. We continue to help our customers purchase MRO products quickly, affordably, and conveniently, and continue to grow with our customers. 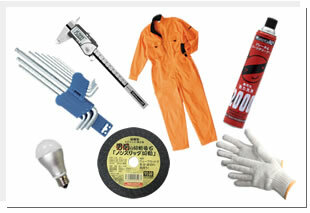 MonotaRO works with more than 1,700 suppliersand imports goods from more than 10 countries. We leverage those suppliers to procure a wide range of products inexpensively and efficiently.